When hackers broke into Sony Pictures Entertainment’s email server in November 2014 and released stolen messages, the first stories to come out were Hollywood fodder. 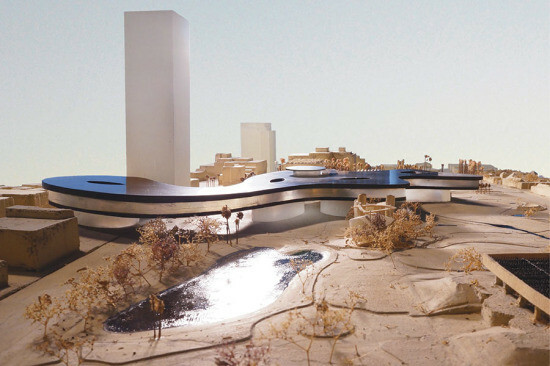 But buried inside the glut of toxic gossip, star salaries, and Emma Stone’s junior high school pictures are emails that tie together Sony CEO Michael Lynton, Los Angeles County Museum of Art (LACMA) director Michael Govan, LA County Supervisor Mark Ridley-Thomas, and Peter Zumthor’s proposed design for the LACMA campus. In stories by ProPublica and the Los Angeles Times reporters reviewed the hacked messages and found that Lynton, a member of LACMA’s board of trustees, directed a $25,000 Sony contribution to a state super PAC—the African American Voter Registration, Education, and Participation Project founded by Ridley-Thomas—in exchange for a key vote on LACMA’s future. According to ProPublica, records and interviews show that although the contribution was made and publicly disclosed after the election, it was promised prior to a major county supervisors vote in November 2014 that backed $125 million dollars in public funds for the museum expansion, the construction of which is estimated at well over $600 million dollars. Ridley-Thomas represents the city’s Second District, an area that covers much of South Los Angeles, including Watts and Compton. The northern edge of the district runs along the south side of Wilshire and Museum Mile. Govan considered the supervisor’s vote pivotal because a portion of the museum crossed into his district. 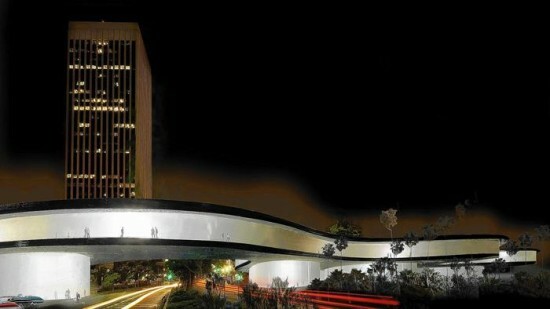 Zumthor’s scheme bridges to the south side of Wilshire Boulevard, ostensibly to avoid disturbing the La Brea Tar Pits and to provide better Metro subway access. Plans for the south side include a high-rise tower. View of the Wishire Boulevard crossing from Zumthor’s June 2014 scheme. Courtesy LACMA/ Atelier Peter Zumthor and Partner. In a July 2014 interview, Govan touted the design of the bridge and tower as essential for increased density and the creation of a cultural corridor along Wilshire. As for an architect for the skyscraper he said, “My dream would be Frank Gehry, it’s as simple as that.” To date, no proposals for such a partnership has come to light. ProPublica and LA Times reports track internal emails between Lynton and Ridley-Thomas’s aides that lead to a luncheon meeting between the CEO and the supervisor. Learning of this meeting, Govan took the opportunity to have trustee Lynton lobby for Board of Supervisor support. A July 17 email from Sony executive Keith E. Weaver spells out the reasons for advancing the proposal in a series of bullet points. 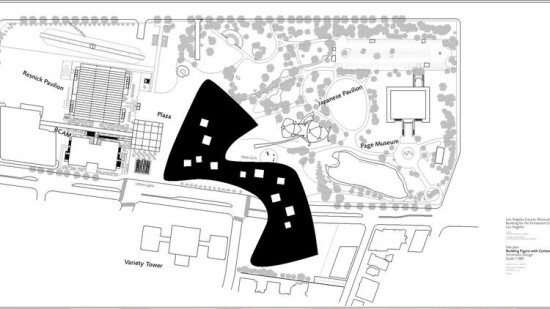 Zumthor’s revised scheme from June 2014. 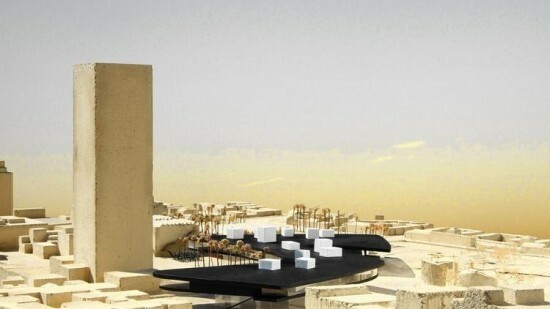 Courtesy LACMA/ Atelier Peter Zumthor and Partner. According to ProPublica and the LA Times, it is this luncheon that initiated the flow of money from Sony to the PAC and influenced the supervisor’s important vote on the museum.